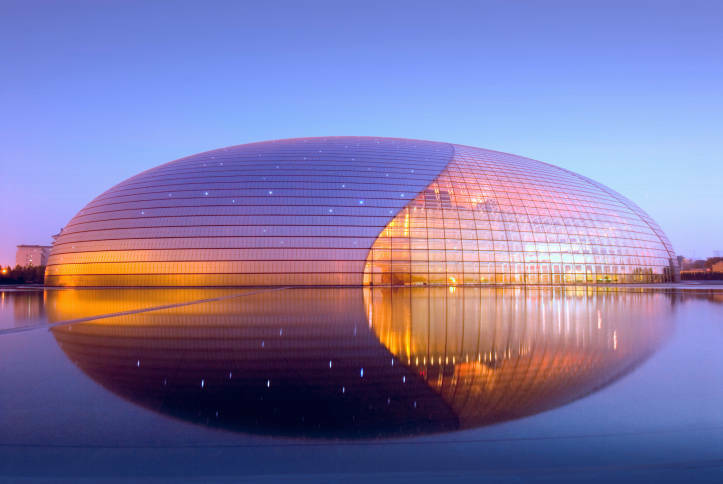 The National Centre for the Performing Arts (NCPA) and colloquially described as The Bird’s Egg, is an opera house in Beijing, China. 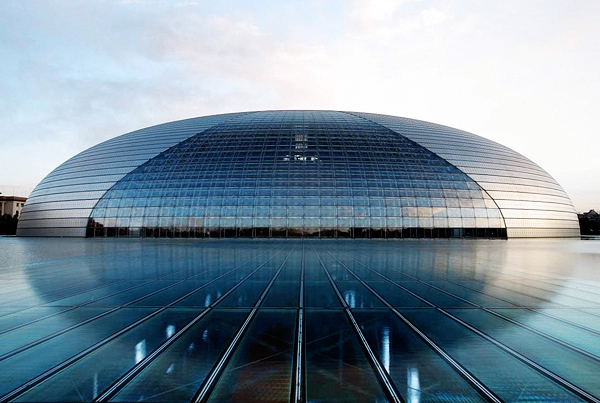 The Centre, an ellipsoid dome of titanium and glass surrounded by an artificial lake, seats 5,452 people in three halls and is almost 12,000 m² in size. 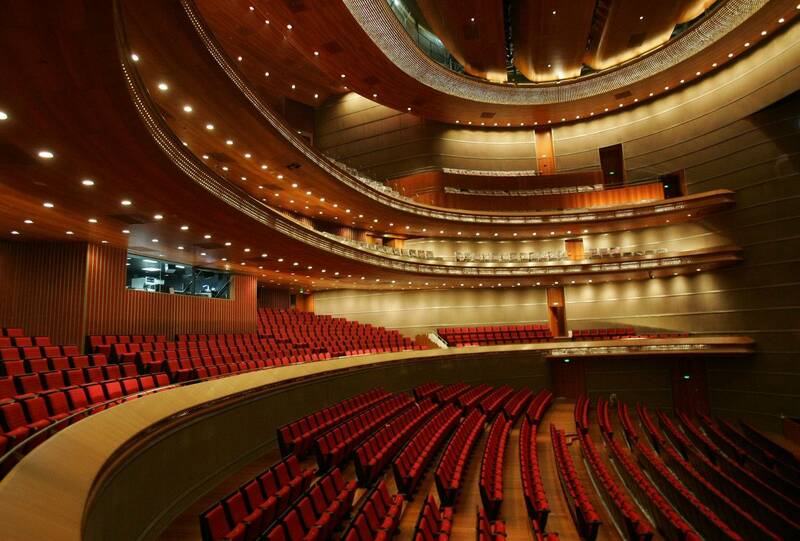 It was designed by French architect Paul Andreu. Construction started in December 2001 and the inaugural concert was held in December 2007.